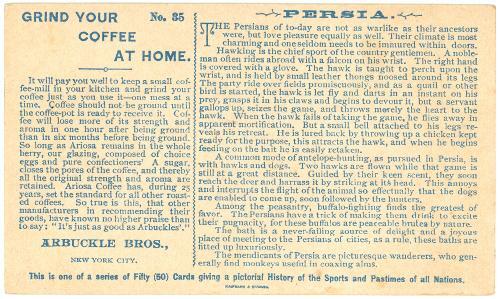 Arbuckle Coffee trade card. PERSIA. No 35. 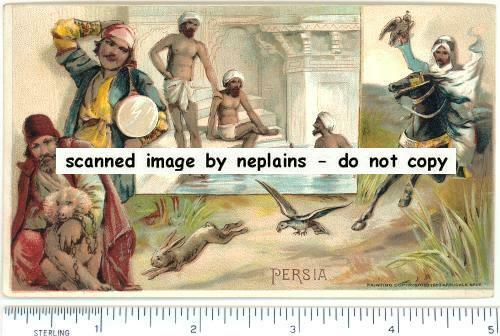 ... one of a series of Fifty (50) cards giving a pictorial History of the Sports and Pastimes of all Nations. Measures apx 3" x 5". Minor corner wear. May have been trimmed top and right edges.